Gate installation services cost approximately $50/hr. Depending on factors like the size of the gate and the kind of material used, rates can go as high as $57/hr. All prices stated in this article are based on FY 2016 pricing data compiled by ServiceSeeking.com.au. The figures resulted from a comprehensive analysis of quotes submitted by Gate Installers on the site from July 2015 to July 2016. Dianne from Victoria spent a total of $3,047.50 for 2 solar-powered driveway gates to be installed at her residential property in Frankston Heights. 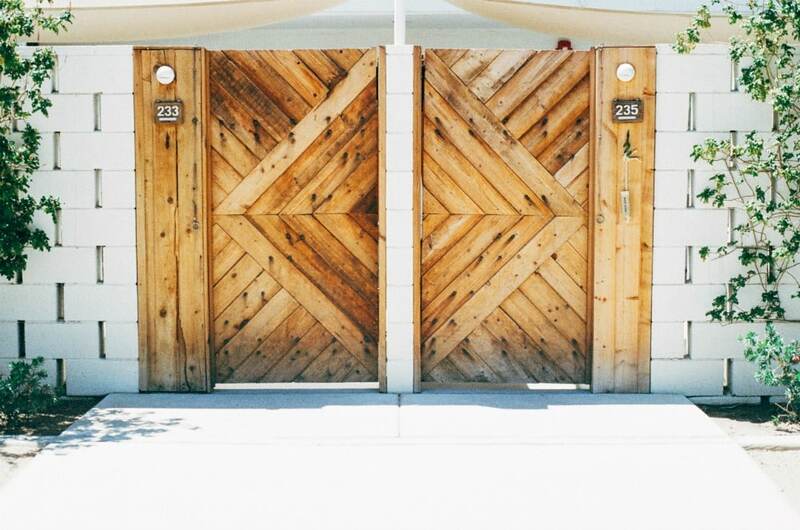 Gates are usually made of wood, aluminium, wrought iron, or galvanised steel. Wood is one of the most affordable options, but its upkeep can be difficult. Although expensive, steel is easily the most durable; it can last for several years. If you’re keen on ensuring security, getting a steel gate is a good choice. The size of the gate will have a significant impact on the total cost of the installation project. And assuming there’s already fencing installed around the perimeter of your property, the dimensions of the fence will also play a part in determining the appropriate size for the gate. Custom gates are generally more expensive than prefabricated ones. You’ll also have to spend more money if you choose automatic gates over manual ones. Additionally, expect costs to rise if the gate will have to be installed on a sloping or uneven terrain as this will require more work. 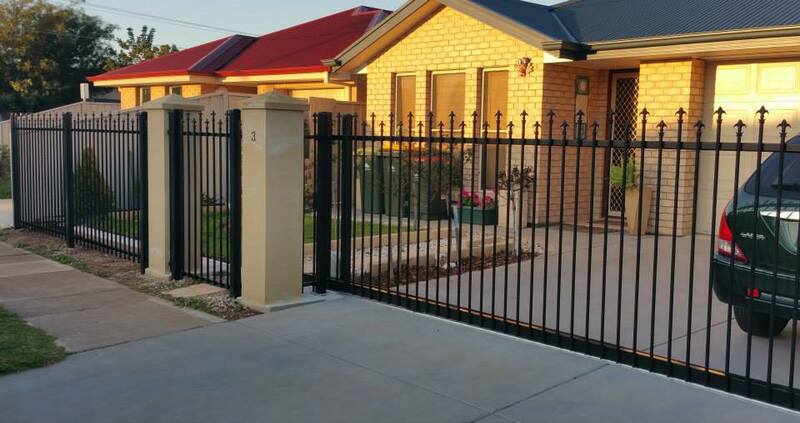 At an average of $50/hr, Western Australia has the lowest cost for gate installation services in the country. Rates are only slightly higher in Victoria where gate installers charge around $50.50/hr. 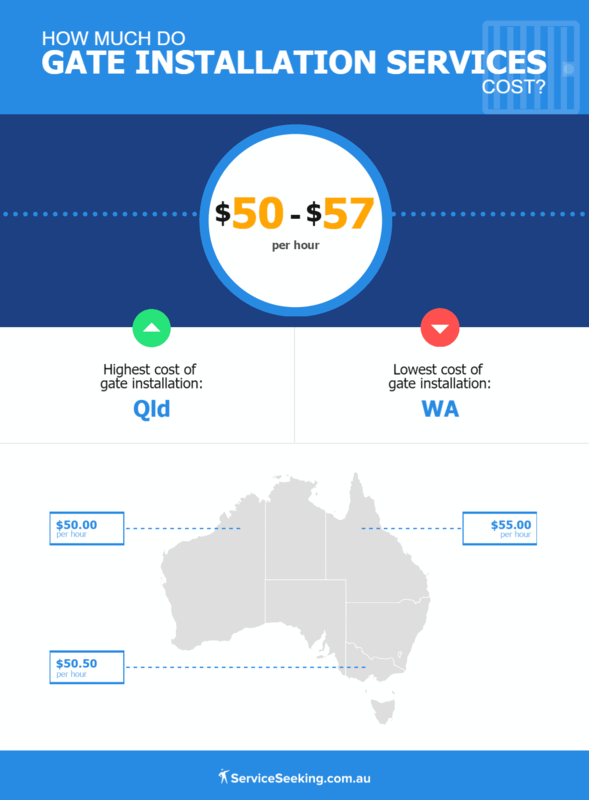 Meanwhile, gate installation in Queensland has an average price of $55/hr, which is the highest in Australia.